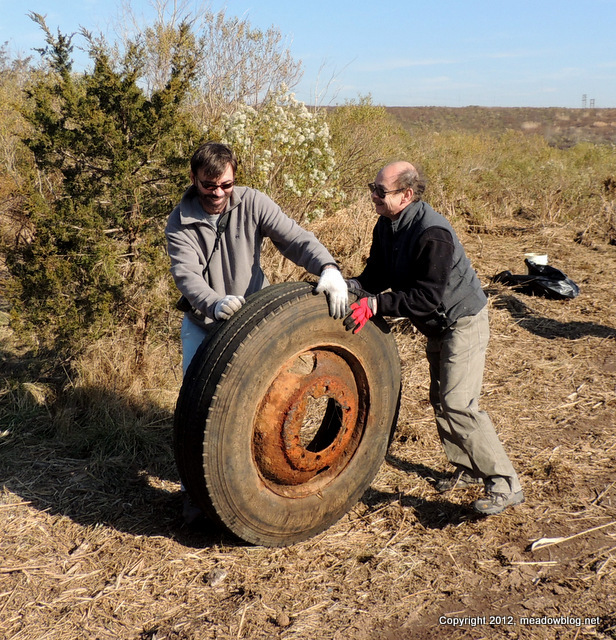 Next Cleanup: Harrier Meadow, Tomorrow (Sat. ),10:30 a.m. 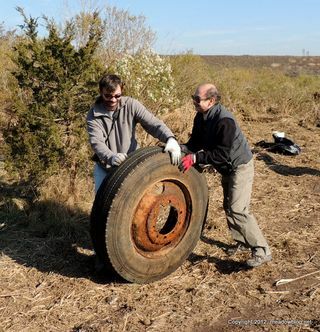 The Meadowlands Commission and Bergen County Audubon Society are conducting two more Harrier Meadow cleanups this month. The first is tomorrow (this Saturday, Dec. 8) from 10:30 a.m. to 12:30 p.m. The second cleanup is Sunday, Dec. 30, from 10 a.m. to noon. Info on this Saturday's cleanup follows. Let's hope the weather clears! 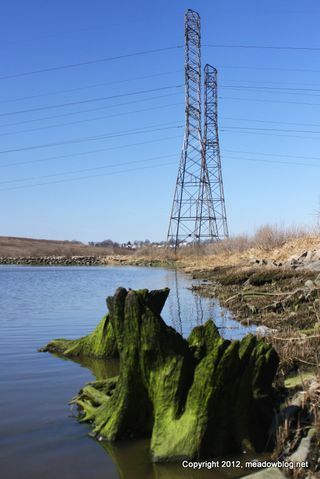 DeKorte Park's Saw Mill Creek Trail has been closed long term, awaiting some major new transmission towers from PSE&G. The Obersver has an informative article on this ambitious project. Although much of the article deals with the part of the project that's in Kearny, it also describes the company's long-term regional plan for the new towers. From what we have heard, the new towers would run along the Saw Mill Creek Trail and necessitate major construction work — after which the trail would reopen. Jim Wright, who maintains this blog, also writes a twice-monthly column for the South Bergenite. 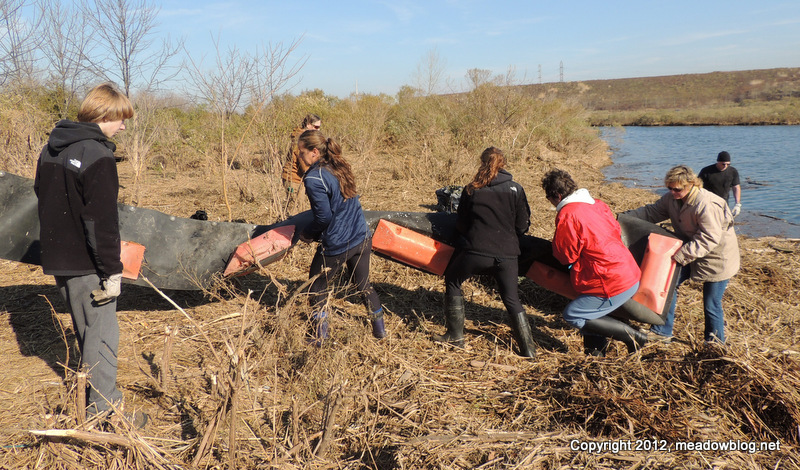 His latst column is about the volunteers who have been pitching to help clean the Meadowlands after the big storm. As I review our lists of cleanup volunteers, I realize that helping out is not just about “the kind of community you want to live in,” but also the kind of natural world you want to visit and maintain — and leave for the next generation. The volunteers who have helped out are from all over New Jersey, from our own backyard to 28 communities outside the district – and as far away as Sparta. Volunteerism, it turns out, knows no boundaries.